As widely reported, the Lakeside community is shocked and saddened at the recent murder of a local Canadian resident and we join the rest of the community in offering our condolences to the family and friends of the victim. This incident only added to the anxiety caused among some by recent reports regarding the purported upswing of crime in the area, and recent writings and interviews conducted by visitors to the area. So let’s take a closer look at current events Lakeside and address the question of how bad is it and can Mexico be fixed? In general, there is some level of increase in crime every six years around the time of the presidential elections. 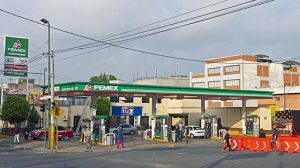 In Mexico, presidents are elected for a single term of six years and both as the election approaches and as the new administration settles in, there is a general increase in unrest and varying degrees and types of instability among forces jockeying for control. 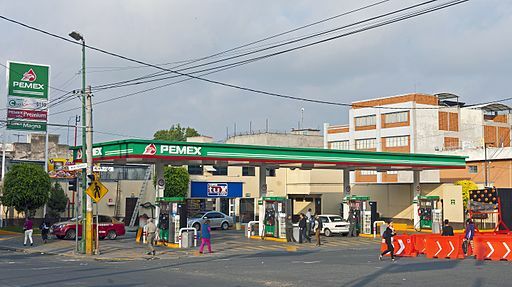 A recent example of this is the gas shortage experienced in January when the new Mexican President, Andrés Manuel López Obrador (AMLO), vowed to stop the huachicoleros (gas pipeline thieves) who puncture the gas lines, causing the state to lose huge amounts of revenue. 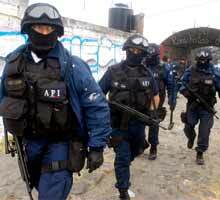 The huachicoleros in turn threatened the President with reprisals, and so on. At this writing, the gas distribution situation has normalized after the military was deployed to protect production and pipelines. In contradiction to a recent podcast statement that Lake Chapala is experiencing a “crime wave never seen before”, about seven years ago near the time of the last presidential election, there was a Lakeside wave of burglaries, home invasions and murders of foreigners that also generated a wave of negative publicity and caused some to either leave or seriously consider doing so. As discussed in our previous post, Noisy, Dirty and Dangerous Lakeside, crime is an issue here and it waxes and wanes through the years. The rule of law is definitely not as firmly established as north of the border or in some other democratic nations, the judicial system is unwieldy and fraught with corruption, and police are underpaid, understaffed and under equipped. There has been a plethora of social media discussion about how to best protect yourself, but the bottom line is, take reasonable measures as you would anywhere. And yes there is a chance that you could be the victim of a violent crime just as in any of the 30+ countries I’ve lived in or visited, including my home country. Stay tuned for our 2019 State of the Lake Report to be released soon. In summary we can say that Lake Chapala is under the same pressures as every other body of the water in the world today. I’ve recently returned from India where Mother Ganges is fast turning into a sewer, affecting approximately one billion people. Lake Chapala is a much smaller and easier to manage body of water and the new Governor of Jalisco has just announced a federal/state effort to modernize the current waste management treatment plants and to build new ones. 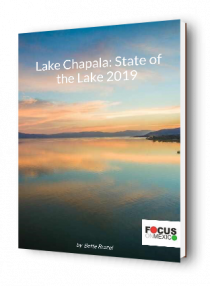 Between that and increasing environmental awareness on the part of both government and society, there is reason to be optimistic about the future health of Lake Chapala. After over 22 years of living in various Latin American countries (Ecuador 12 years; Peru 4 years; Costa Rica 4 years; Panama 1 1/2 years; Venezuela 6 months) and now Mexico, I don’t consider myself an expert, but I do know that visiting a country for weeks or months does not make an expert out of anyone. I can confidently say that in each of the countries I have lived in, I’ve experienced the good, the bad, the ugly and the truly terrible. Every country in the world has its pros and cons, there is no paradise on this earth, and only you can make a well-informed decision of where the best place to live might be based on your mindset and lifestyle. A long-time expat living in Oaxaca recently said that the best thing you can do when adjusting to Mexico is to “keep your eyes open and your mouth shut” for the first few years. This is not meant to be insulting to readers or to suggest the adoption of a ‘head in the sand’ viewpoint, but to point out that it actually takes several years of living in a country to even begin to understand its culture and inner workings. If you visit any foreign country and leave with a plethora of suggestions about how it could be fixed or improved, you will likely find yourself angry and disappointed when your suggestions are not well received. We U.S. citizens don’t take kindly to foreigners suggesting how to improve our country and the reverse is also true. On the flip side of that, many foreigners have made substantial and lasting contributions to Lakeside life over the past 100 years when they have worked together in cooperation and respect with the local citizenry. This spirit of cooperation has a great deal to do with what makes Lakeside a unique community where for the most part locals and foreigners respect and care for each other. Taking the time and effort required to become part of both the foreign and Mexican community, making a real effort to become functionally fluent in the language, and understanding the underpinnings of the culture will surely affect your viewpoint of both the country and your safety. 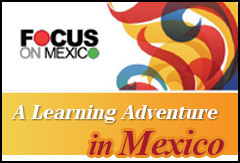 Here at Focus on Mexico, we are not interested in selling you a retirement paradise dream. We are all long time residents who live here because we enjoy full lives here and delight in sharing with those who want to investigate whether or not Lake Chapala might be right for them. When considering any international move, you need to conduct extensive due diligence including a financial, risk, climate, culture and tolerance assessment based on your personal circumstances, and we are here to help you do that, so come on down and see for yourself. See also our previous post “Is It Too Late to Move to Ajijic“. My wife and I are exploring the possibilities of retirement in the Lake Chapala area and I am sick of some of “Everything Is Fabulous, Cheap and Sunny Every day” blogs, magazine subscriptions, and youtube channels. New York City scares the hell out of me and it too has garbage frequently stacked high on the streets. They have a few murders a year and the odd mugging as well. 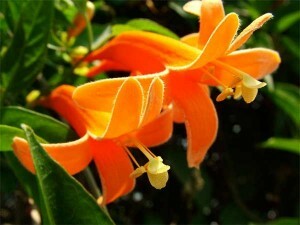 Thank you for helping to shine the light of reality.